Our granddaughter paid us an unexpected visit yesterday afternoon, and it turned into something of an Easter moment for me. 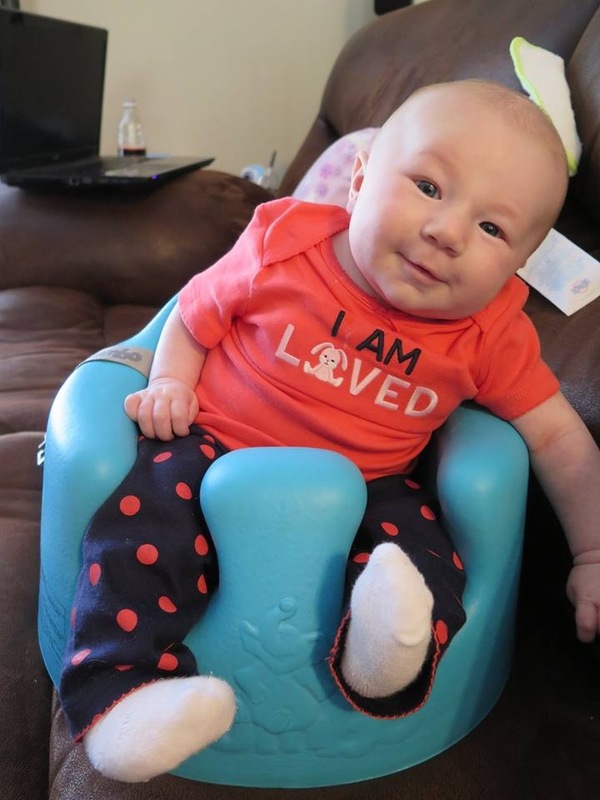 Hannah’s not quite four months old—at the delightful point where she can catch your eye, recognize your face…and yes, melt your heart with her impish smile. It’s amazing, really, to contemplate how much we can communicate through facial expressions. Hannah can’t speak a word at this stage of her development. She’s just beginning to babble. Even so, she’s quite successful at showing her Gramps that she loves him…with nothing more than a wink and a smile. I’ve grown to love the story that John tells about Mary Magdalene: how she turns around and sees the resurrected Jesus, but doesn’t at first recognize that it’s him. But it takes just one endearing word from him in order to bridge that gap in Mary’s mind. And as I was pondering the story, I wondered if Jesus might not also have given Mary a visual clue…to seal the deal on his true identity. A loving connection…in a wink and a smile. Let us pause now…to recall that we are in the presence of the Holy One.